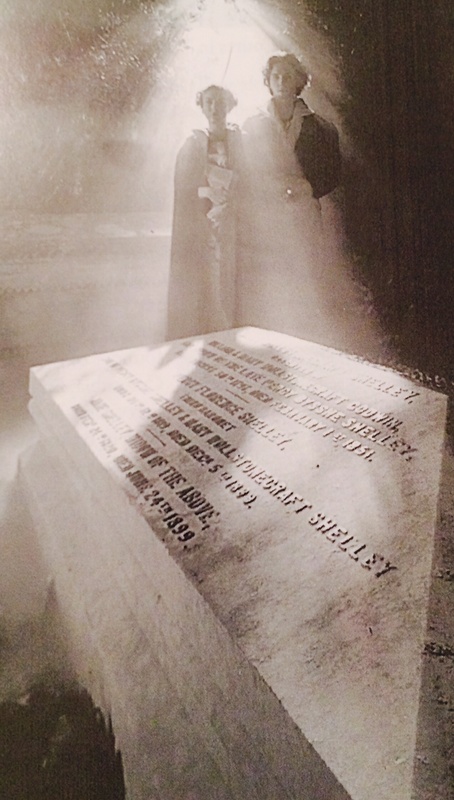 Image taken from the pamphlet at the Shelley grave site in Bournemouth. This Halloween eve, I was reminded of one of the greatest ghost stories never written. Back in the early 1800s, a young and precocious Mary Shelley traveled with her family around Europe, traipsing through forests and exploring abandoned castles (or so my imagination assumes). During a stay in Scotland, she took up with Percy Bysshe Shelley, the prince of the Romantic poets (I bestow upon Keats the title of “King”). Percy would become her husband while both were still teenagers and the two were known for their adventurous jaunts through France, Switzerland and England. They were also known for their desire to tell the most compelling of horror stories. It was during one summer in Geneva that fellow literary great Lord Byron joined the couple, along with other friends. Mary wrote in her journals that the weather was particularly dreary, and the group was inspired to converse about modern-day experiments in corpse revival and other such topics of interest. These stories eventually led to Mary’s creation of Frankenstein (though the book was initially published anonymously, and she acknowledged extensive input from Percy). Little did any of them know that they had conjured one of the greatest figures in literary history… and a Halloween icon that endures nearly 200 years later. Mary’s own life took a ghastly turn itself when her husband died in a legendary “accident” at sea in Italy when he was just 29 years old. There was much speculation over the cause of his death and it’s said that he was found with a book of Keats’ poetry in his pocket (whether true or not, that’s one of my favorite stories ever). Also highly speculated upon is the state of Percy’s body, particularly one organ. As was the custom at the time following a death at sea, his body was burned on shore. Legend has it that the ashes of his heart were saved by a grieving friend, or even more gruesome, it’s possible that his heart was cut from the body before cremation. Flash forward 29 years and Mary lay on her own deathbed. At 54 years old, she had led a solid life and continued writing throughout. 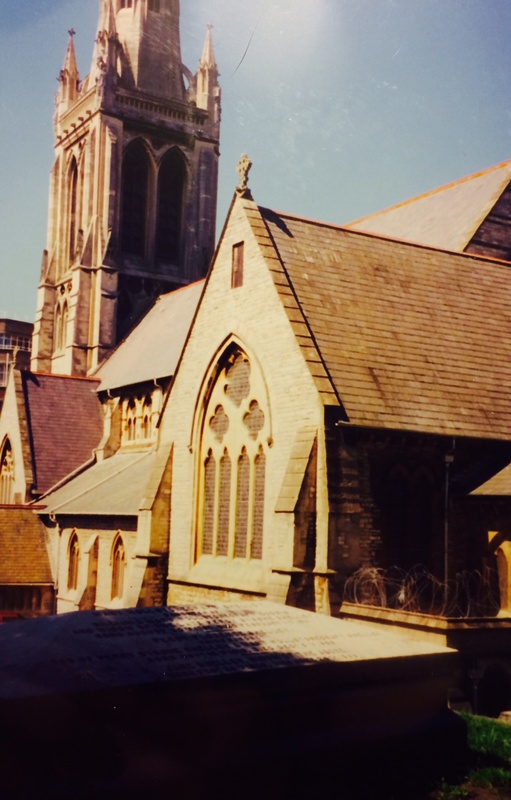 She was buried in Bournemouth, England, a rugged coastal town where she had moved with her son and his wife. One year after her death, the family opened a trunk of personal items and found, among other keepsakes, an envelope containing the ashes of Percy’s heart. The ashes were supposedly buried in the same vault as his wife, and the two now peacefully overlook the sleepy sea-side town, along with Mary’s parents, son and daughter-in-law. I visited Bournemouth during my post-college literary tour of England back in 1998. The cemetery is suitably spooky for holding the remains of two such lives of tumult. Before visiting, I wasn’t aware of the story of the buried heart, but I think of it often. What a story. What a fitting tribute for such a free-spirited, creatively driven couple. It’s a story of romance perfectly fitting for Halloween. Dear Julie… That is just fascinating. Thank you for the best ghost story of all. I’ve forwarded it on to family and friends. Hope that’s okay. Glen and I just spent a few days at the Hotel “Del” in San Diego. He was at a Psychiatry and the Law Conference. I was so hoping to meet their resident ghost, but no luck, not even before Halloween. Cheers, Nancy B. Thanks Nancy! So glad you appreciated it. It is one of my favorite stories. 🙂 Happy Halloween to you! I always love your stories, Julie. Thanks for keeping your blog going. This reminds me to reread Frankenstein. 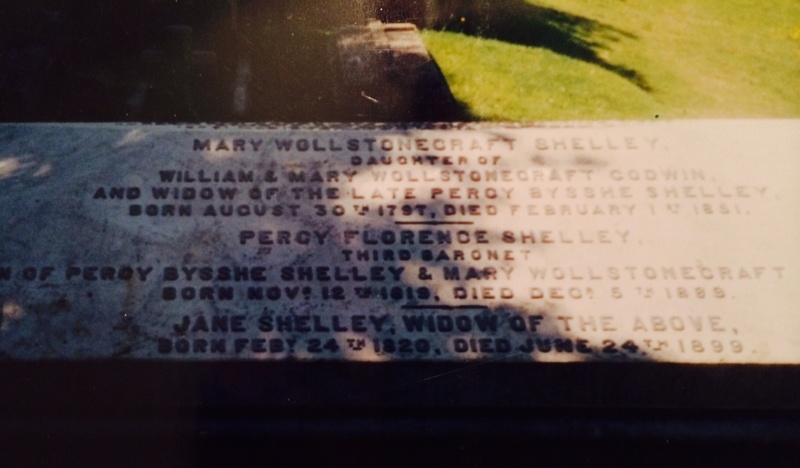 The Shelleys and their friends had a strangely compelling life. Have a special and spooky Halloween! Thank you Nancy – I so appreciate you reading and I’m grateful for the kind words!